Situated in the spectacular malaria-free Madikwe Game Reserve, traversing over 185 000 acres of true untamed Africa, where the plains still team with game and the wild dog roam freely amongst the ‘Big 5’. The Lodge offers 10 ultra-luxurious glass-fronted suites complete with their own verandah and private plunge pools are ingeniously placed amongst the boulders. 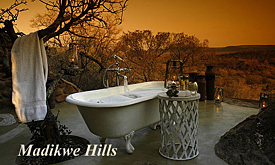 This exclusive lodge is situated in the ‘Big 5’ Sabi Sand Game Reserve bordering the world famous Kruger National Park. With only 8 luxurious air-conditioned glass-fronted suites, complete with their own verandah and private plunge pools, the lodge offers exclusive privacy. 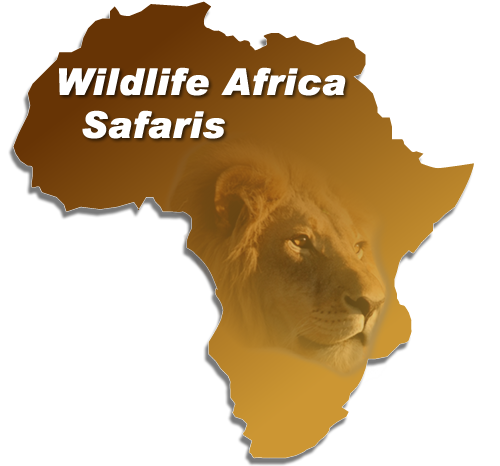 Excellent game viewing, high service standards, delicious cuisine and a warm atmosphere ensure a memorable safari. En-route to Kings Camp, you will be transferred to Elephant Whispers where you will be enthralled by a two-hour Ultimate Elephant Experience. Interact, ride and indulge in a champagne picnic surrounded by these gentle giants. 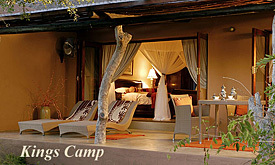 Kings Camp is situated in the Timbavati Private Nature Reserve, bordering the Kruger National Park. With only 9 thatched air-conditioned suites, Kings Camp refl ects the charm and romance of a Colonial past in a pristine corner of unspoilt Africa. Kings Camp is situated facing an open savanna plain with a waterhole, which is frequented by a wide variety of wildlife day and night. 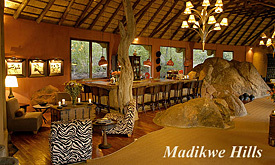 • 3 Nights at Madikwe Hills Private Game Lodge, Madikwe Game Reserve. 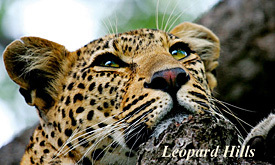 • 3 Nights at Leopard Hills Private Game Reserve, Sabi Sand Game Reserve. • 2 Nights at Kings Camp Private Game Reserve, Timbavati Private Nature Reserve. • Airfare OR Tambo (Johannesburg) – Madikwe Hills – OR Tambo (Johannesburg). 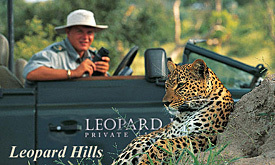 • Airfare OR Tambo (Johannesburg) – Leopard Hills. • Road Transfer Leopard hills – Elephant Whispers – Kings Camp. • Airfare Kings Camp – OR Tambo (Johannesburg).